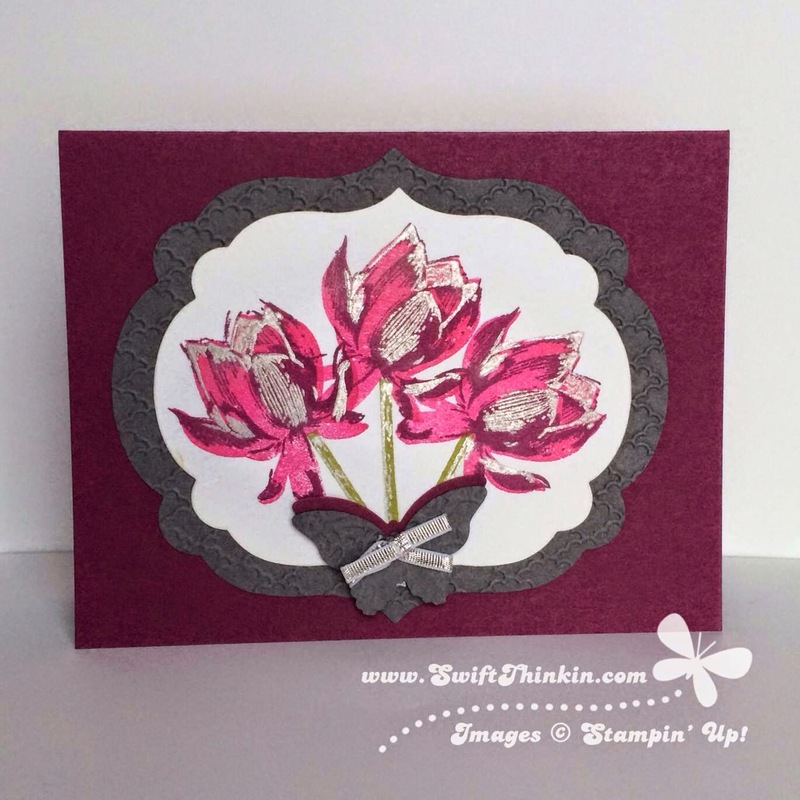 I had mentioned previously that I received two swaps using the wonderful Lotus Blossoms stamp set that you can earn for FREE during Sale-a-bration. Tara shared her creation earlier this month, and now I would like to share with you the card made by Chris Schmidt. I think it is fun how she embossed the last layer on the flower. It gives it a lot of depth and makes it look like it is catching the light :) And of course anything with butterflies is fine by me!